Here are the 5 winners of the 2017 DCCPTA Senior Scholarship $500 scholarships. Florida PTA is pleased to offer an opportunity for assistance to qualified students who wish to continue their education beyond high school. Florida PTA offers a total of four (4) scholarships, one each in the following categories: University, Fine Arts, Community College, and Vo-Tech, to a student graduating in the 2016-2017 school year. This is a one-time (non-renewable) award of $2,000.00 and will be awarded to a worthy student who is interested in getting a start in life through higher education. The Florida PTA Scholarship is available for all high school seniors who are a member of their high school PTA/PTSAs or the Sunshine State PTA. Deadline for all applications is February 1, 2017. All applications must be postmarked by that date in order to be considered. 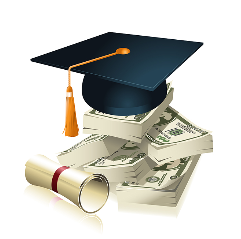 Florida PTA scholarship information for your quick access. Needs-based grants are available from the Duval County Council of PTAs/PTSAs to support the attendance of PTA leaders, who will be officers/chairs at their local unit, at the Florida State Leadership Conference and Convention. Recipients are to be selected by the Executive Committee of the Duval County Council of PTAs/PTSAs. The grant will provide financial assistance with lodging, gas, and registration fees. Only one scholarship per unit allowed. The Local Unit will be required to write a check to the Council in the amount of $250. The Council treasurer will hold the check and it will be deposited only in the case that the local unit fails to attend the event. Deadline May 21. The Duval County Council of PTAs is pleased to offer five (6) $500 scholarships to students graduating from Duval County schools in 2019. This is a one-time (non-renewable) award of $500. The scholarship is available to high school students who are members of their PTA/PTSAs or the Sunshine State PTA. Student’s full-time enrollment must be at an accredited postsecondary institution. See https://ope.ed.gov/accreditation for the Database of Accredited Postsecondary Institutions and Programs. Applications must be postmarked by March 31, 2019. We look forward to reviewing the applications. For more information, contact Scholarship@dccpta.org. Florida PTA is pleased to offer an opportunity for assistance to qualified students who wish to continue their education beyond high school. Florida PTA offers a total of four (4) scholarships, one each in the following categories: University, Fine Arts, Community College, and Vo-Tech, to a student graduating in the 2016-2017 school year. This is a one-time (non-renewable) award of $2,000.00 and will be awarded to a worthy student who is interested in getting a start in life through higher education. The Florida PTA Scholarship is available for all high school seniors who are a member of their high school PTA/PTSAs or the Sunshine State PTA. Deadline for all applications is February 1. All applications must be postmarked by that date in order to be considered. Every year, DCCPTA awards several scholarships to graduating Duval County high school seniors. This year’s scholarship application is now available. Applications are DUE April 15, 2016. Students awarded the scholarships will be invited to our Presidents’ and Principals’ Luncheon on May 17, 2016 at UNF.